When you look down at your hands, you see the stars. 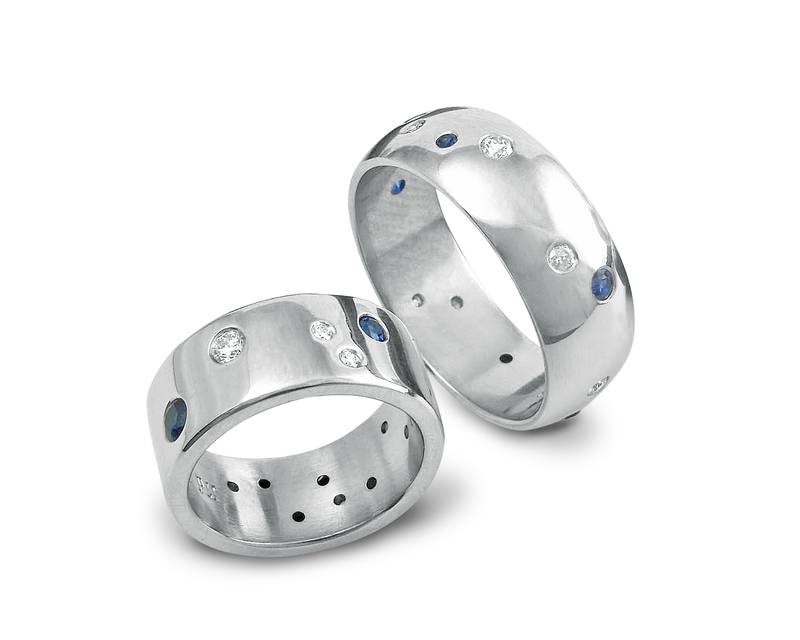 Each one is unique but we promise to scatter beautiful AA quality sapphires and diamonds across your ring like the Milky Way scatters across the sky. 8mm wide in 14K white gold, 1.75mm thick this ring is smooth and comfortable to wear. Yours will be just a little different than anyone else’s!